AcuReiki is the combination of Acupressure and Reiki; as I share Reiki with you, I hold Acupressure points to unblock congested energy and to get the chi flowing well. Reiki is done at the same time or through various times in the session, to nourish the channels. 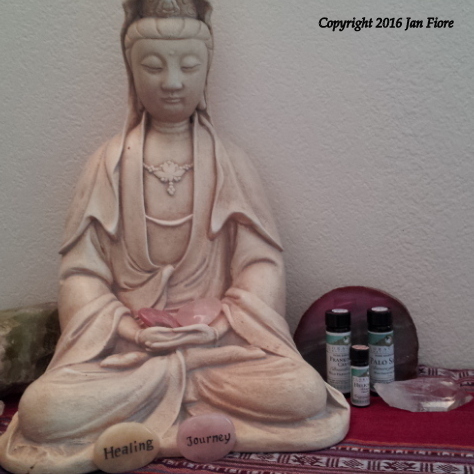 This creates a nurturing, peaceful, healing space. ​AcuReiki Essence© includes the use of specific high-quality essential oils on acupressure points to enhance the effect of the points. For example: Frankincense can be applied to Heart 7; Heart 7 is the Shen Men or Spirit Gate. Frankincense is calming, spiritual, has anti-anxiety and anti-depressive qualities, which supports the nature of the Heart 7 point. Lemon can be applied to Liver 3, which is the balance or source point for the Liver meridian. Lemon works with Liver and Spleen meridians to relieve chi stagnation. It clears Heat, and harmonizes these meridians. Using Essential Oils with Acupressure Points. Essential oils have energetic qualities and actions, just like acupressure points. The additional benefit of incorporating essential oils with acupressure is partly due to their aromatherapeutic aspect, and also because the oil will enhance and support a specific type of therapeutic action. The intent is to use an oil that has the same type of action as the point. (Some acupressure points have multiple functions or actions, depending on context and use with other points, so more than one essential oil could be appropriate for a given point.) The most common acupressure sequence in this session relieves tension and restores vitality. My own experience, both in trainings and in sessions, confirms the effect of essential oil/point resonance. Acupressure is relaxing, calming, and by rebalancing the energetic pathways in the body, assists you in returning to balance: physically, mentally, emotionally, and spiritually. Essential oils enhance and deepen this experience, taking it to the next level. In using essential oils for my own health, it feels like the acupressure point serve as a portal to the most effective delivery and use by the body of the oils. The session can be 75 or 90 minutes, and takes AcuReiki to whole other level of effectiveness, and at the same time, is deeply relaxing. It is also possible, when appropriate, for me to create an essential oils formula specific to your needs, to be applied on specific points, which you can take home. as a result of working with the 12 organ meridians, help to balance the emotional states associated with those channels. 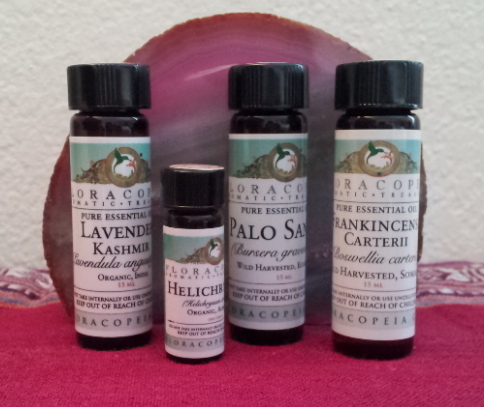 You can experience AcuReiki Essence© as part of the new Wellness Package! Also included is Ayurveda Lifestyle Counseling and Reiki, over 3 sessions, at a 15% discount. For more info, please click here. To find out more about Acupressure specifically, please click here. To find out more about Reiki specifically, please click here.